As interest and activity around impact investing continues to grow in Canada, so does the demand for information around trends and opportunities. The State of the Nation Report provides updated information and analysis that can inform both new and existing actors in the impact investment sector. 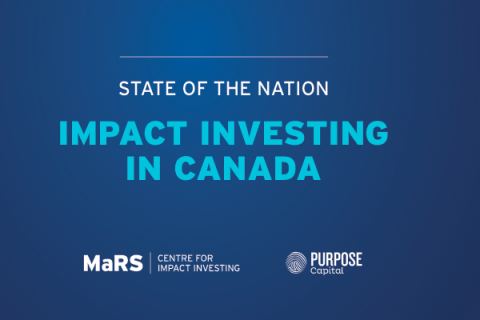 The report, released in March 2014, was jointly authored by Purpose Capital and the MaRS Centre for Impact Investing.